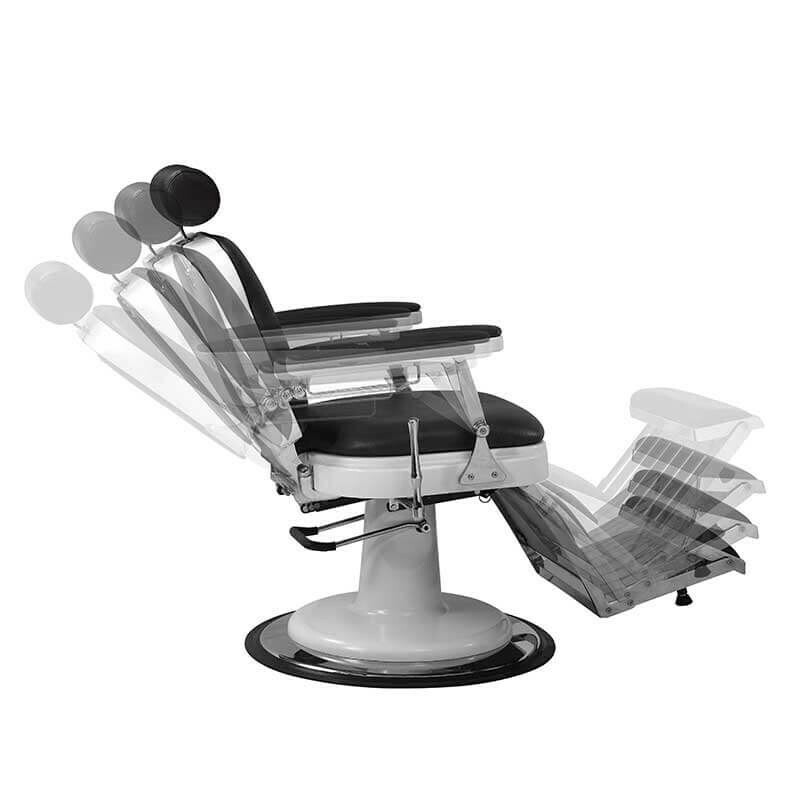 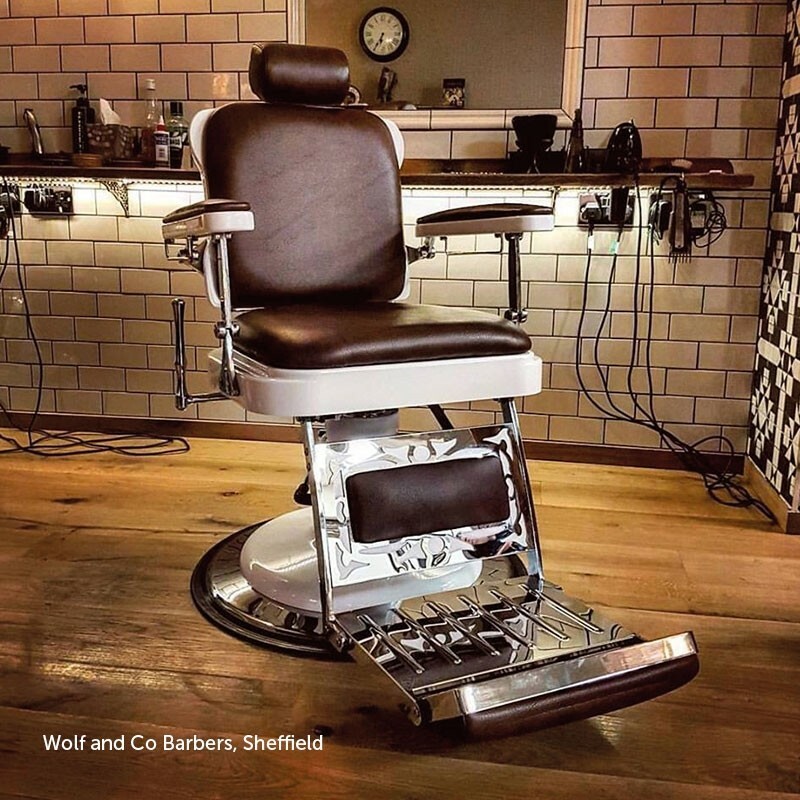 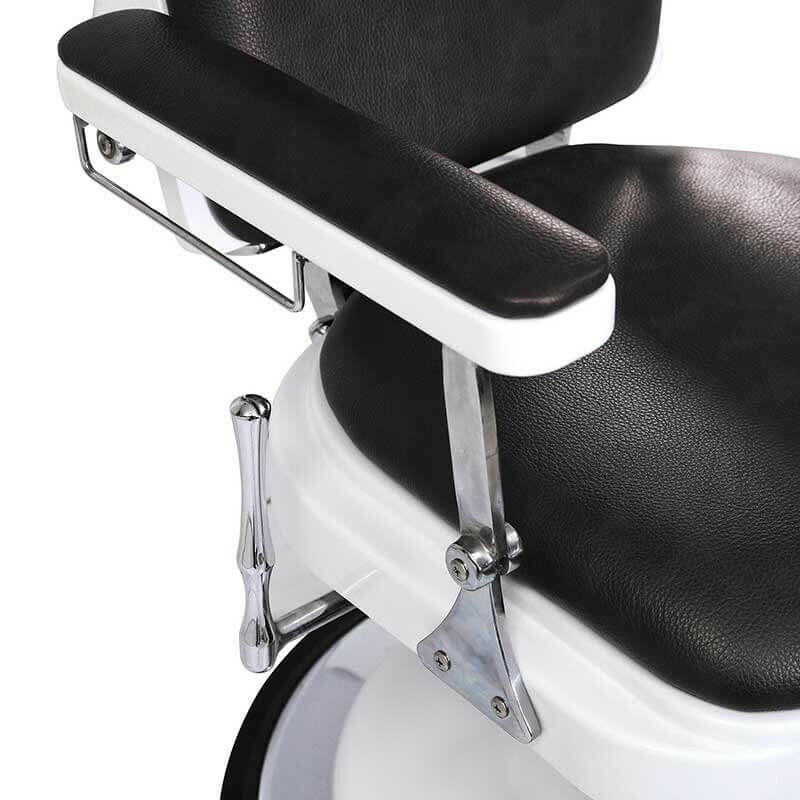 A classic, solid barber’s chair, the Burton features Black upholstery, comfortable padded seating and white edges that give it a retro feel. 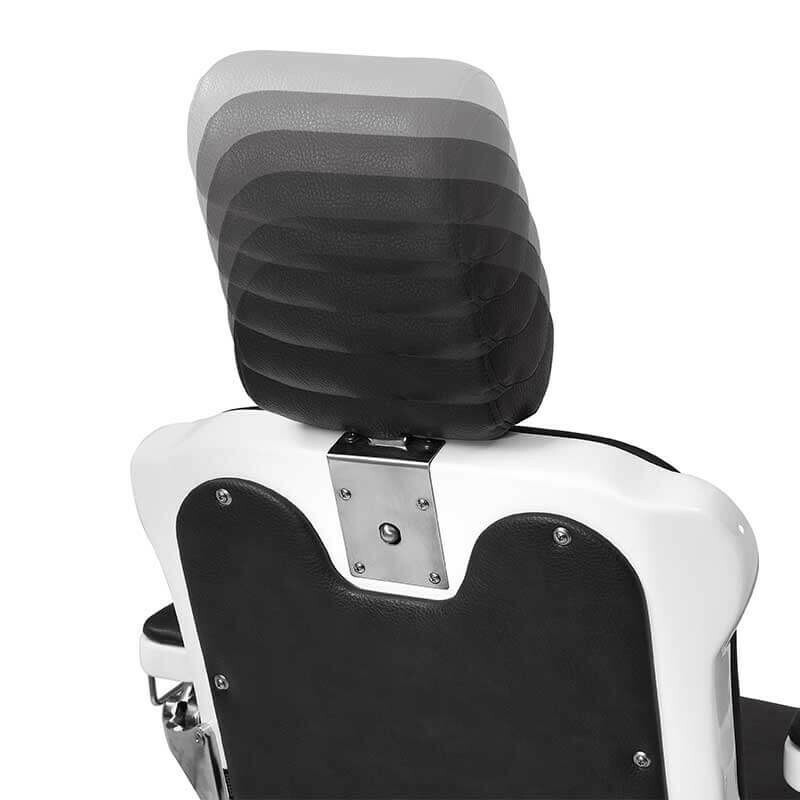 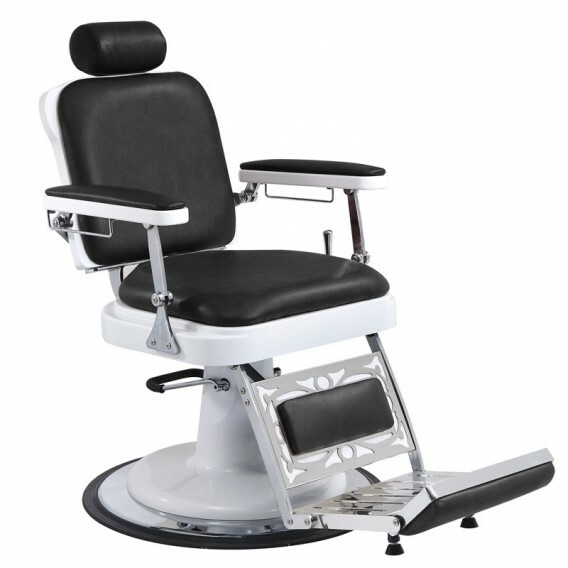 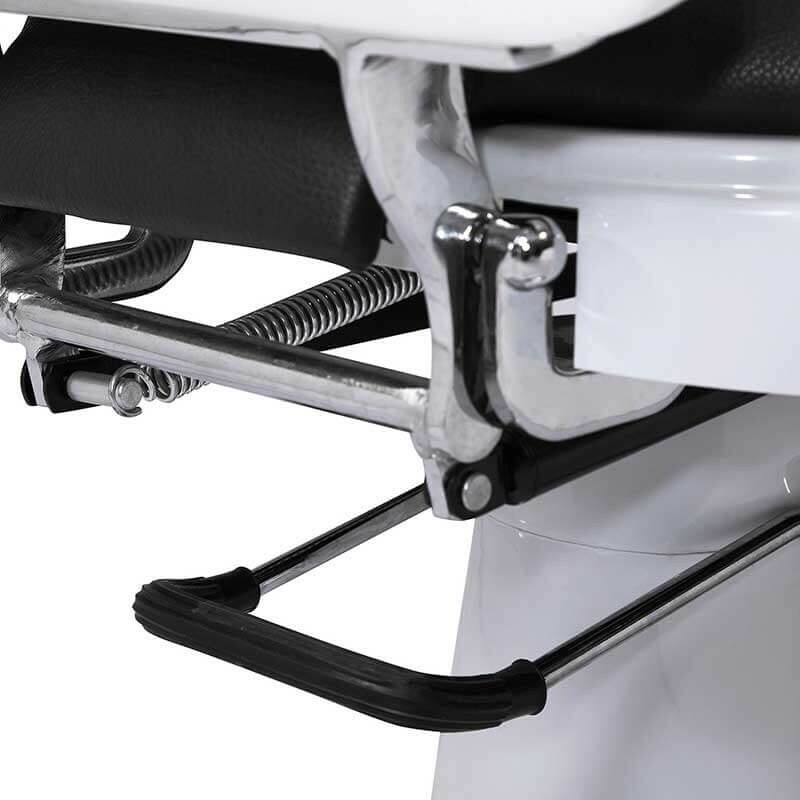 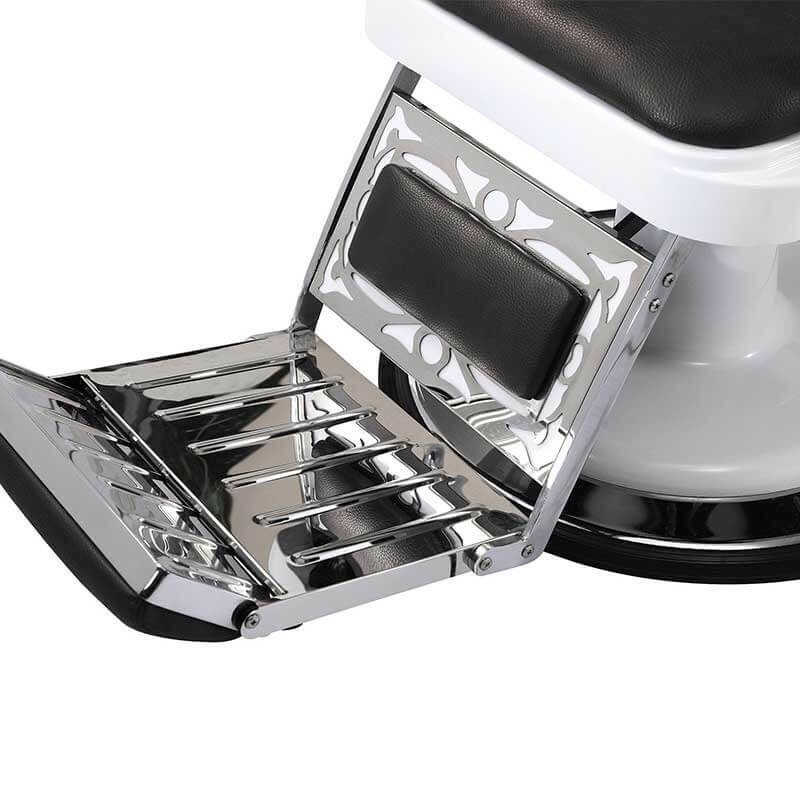 The Burton also has a reclining backrest as standard, which can be operated by a side lever, a static footrest, hydraulic height adjustment and an adjustable headrest plus a solid, round white and chrome base. 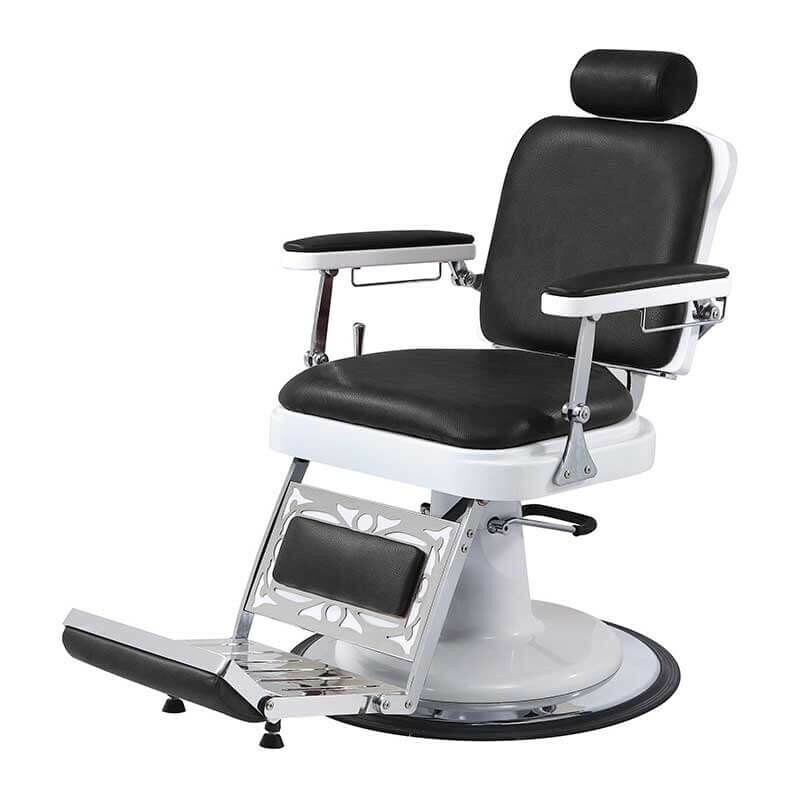 Lotus is an exclusive brand to Salons Direct and offers a wide range of professional salon furniture at affordable prices. 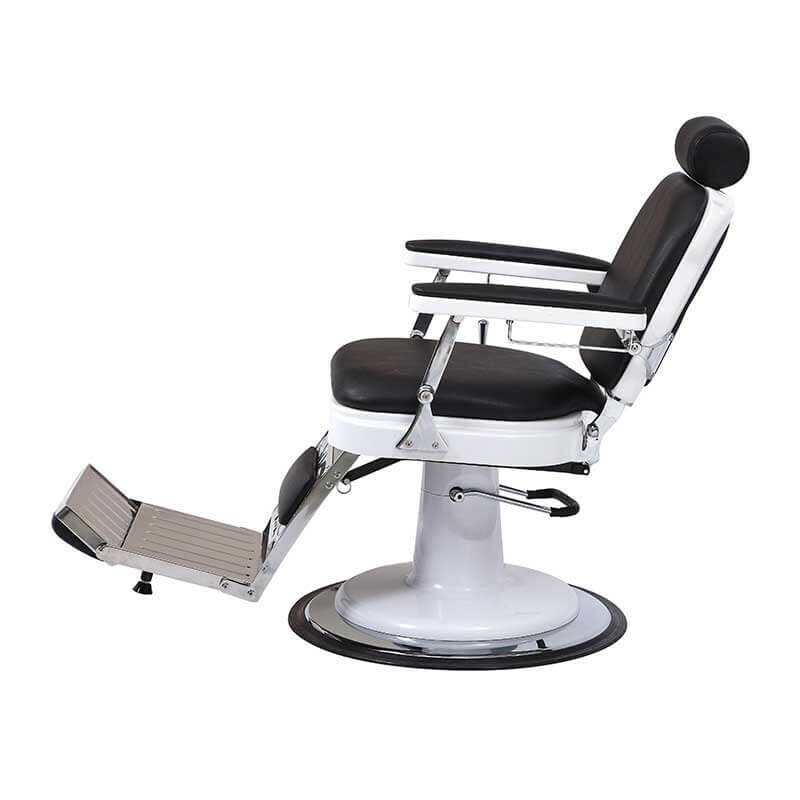 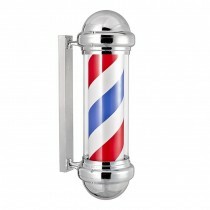 From hair salon furniture to barber's chairs and beauty beds, the Lotus range incorporates all salon must haves at great prices. 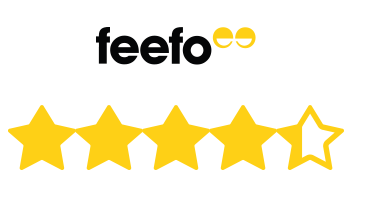 Delivery dates to outside mainland UK can vary, please speak to one of our advisors to get a delivery date for your area on 0844 846 0111. 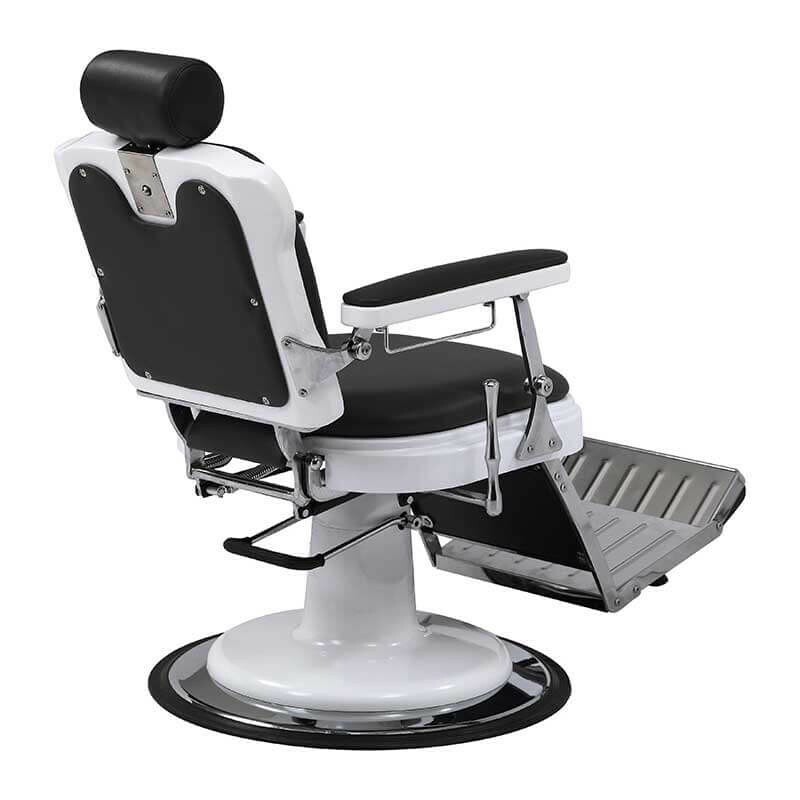 Please refer to our full terms and conditions for delivery and returns details.